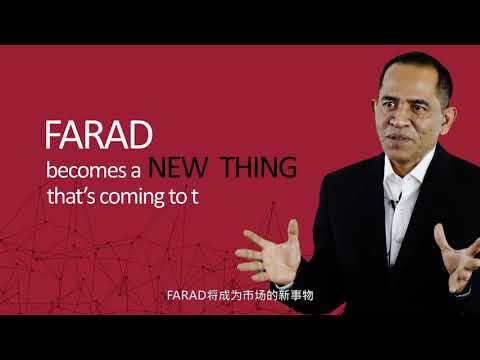 Farad Cryptoken is a crypto-currency within the Blockchain (Ethereum) ecosystem. Each Farad Cryptoken (“FRD”) represents the rights to the forward purchase contract of Ultra-Capacitor Cells produced by Guangxi Aerospace Beidou New Technology Co. Ltd. (China). The ‘mining’ of FRD is based on and 100% backed by the production of ultra-capacitor products and applications. The ultra-capacitors will potentially be used in combination with traditional batteries such as Lithium Ion batteries within the Energy Storage Industry such as AMR, Beacon, Smart Card, Token, Smart phones, Power banks, RFID, IoT devices, WiFi Dongle, POS devises, SSD, PLP, Power tools, Drones, Automotive Boosters, UPS, Robotic Apparatus and Energy Harvest among other. What is an Ultra-Capacitor and what can it be used for? An Ultra-capacitor, also known as a supercapacitor or electrochemical capacitor, is a device for storing electrical energy which is growing rapidly in popularity. The design and mechanism of an Ultra-capacitor’s operation is somewhere between an ordinary capacitor and a battery, which opens up some interesting and valuable applications. Like a battery, a single Ultra-capacitor cell consists of a positive and negative electrode, separated by an electrolyte. However, Ultra-capacitor store energy electrostatically, like a regular capacitor, not chemically like a battery - there is a dielectric separator dividing the electrolyte, also like a capacitor. The small separation between electrodes permitted by this structure lead to much higher energy storage density than a normal capacitor. Whilst an Ultra-capacitor stores less energy than an equivalently sized battery, it can release it much quicker, as the discharge is not dependent on a chemical reaction taking place. Because no physical or chemical changes occur when charge is stored, Ultra-capacitors can also be used many times over without degradation.